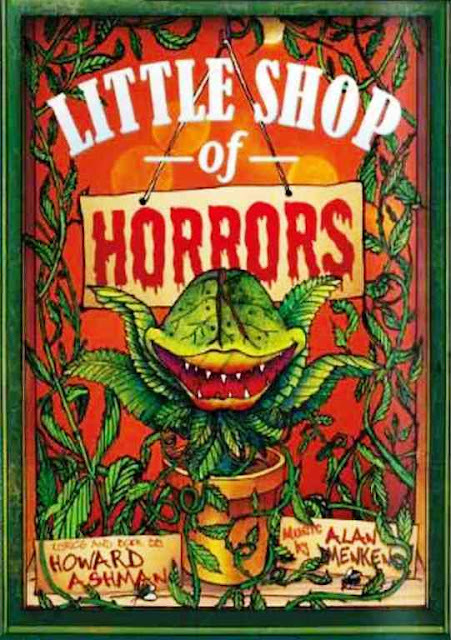 Little Shop of Horrors is a horror comedy rock musical about a hapless florist shop worker who raises a plant that feeds on human blood and flesh. 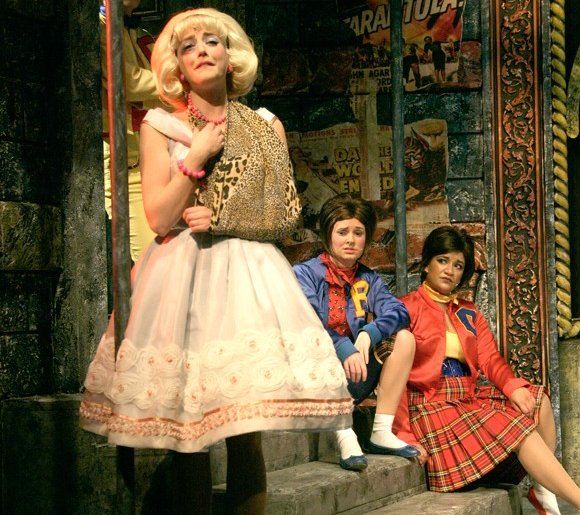 The musical is based on the low-budget 1960 black comedy film of the same name. The music is in the style of early 1960s rock and roll, doo-wop and early Motown, and includes several well-known tunes, including the title song, “Skid Row”, “Somewhere That’s Green”, and “Suddenly, Seymour”. Yet another lively show by the Harlequin Seniors – not too many of whom we hope will be eaten during the run!! Once again, apologies for tardy posting, I saw this a few weeks ago. 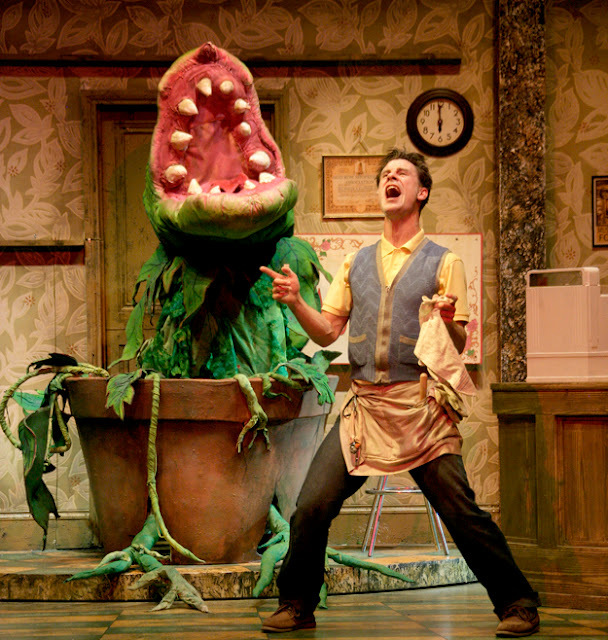 Following on from last year’s success My Fair Lady, Pitlochry Festival Theatre present Little Shop of Horrors. Taking as its starting point classic 50s B-Movies, this comedy-horror musical is ably performed by a 14-strong cast who take on all of the roles as well as the orchestral duties. 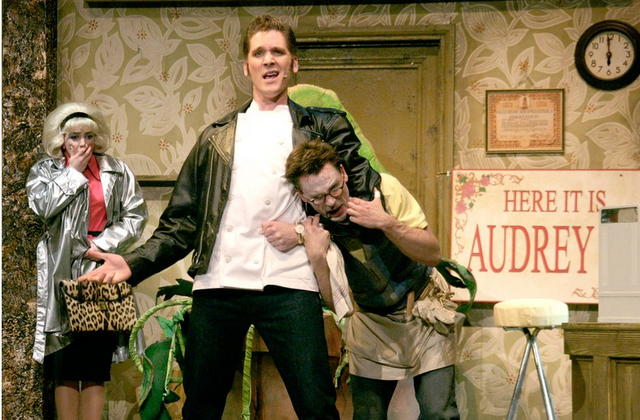 Deserving of praise are Charlie Tighe in the central role of Seymour, who takes tortured geek to a whole new level and Elliot Harper (above centre) who, amongst a series of roles, delivers a lesson in how to pitch an over the top role perfectly. Kate Quinnell (below), last year’s Eliza Doolittle turns in another accomplished performance, singing, dancing, playing the clarinet and acting with aplomb. Special mention must go to Dan Smith as the voice of Audrey, who had to step in to cover with minimal notice – so adept was the performance that you would never have believed he was anything other than the originator of the role. My only concern with this, as it was with last year’s musical show at Pitlochry, was that the vocals and music were seriously under-powered. It may be the fault of the amplification or the fact that the actors had to double up as musicians but it all needed a little more oomph. The quality was there it was just lacking in volume. That said, the sets, costumes and the fabulous animated plant Audrey were first class and there were laughs a-plenty to keep everyone entertained.